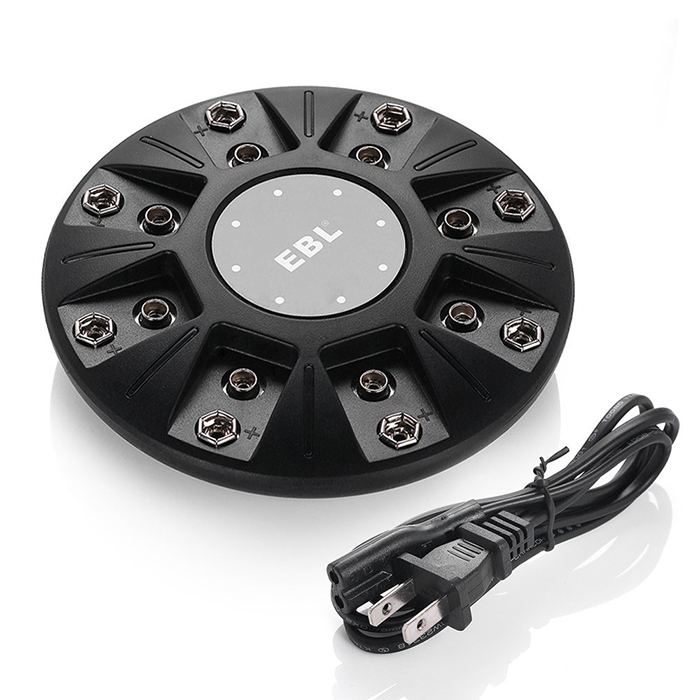 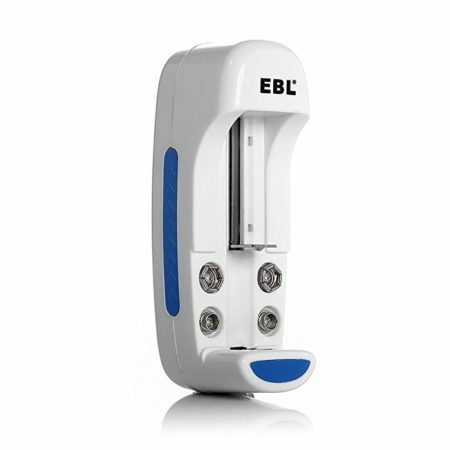 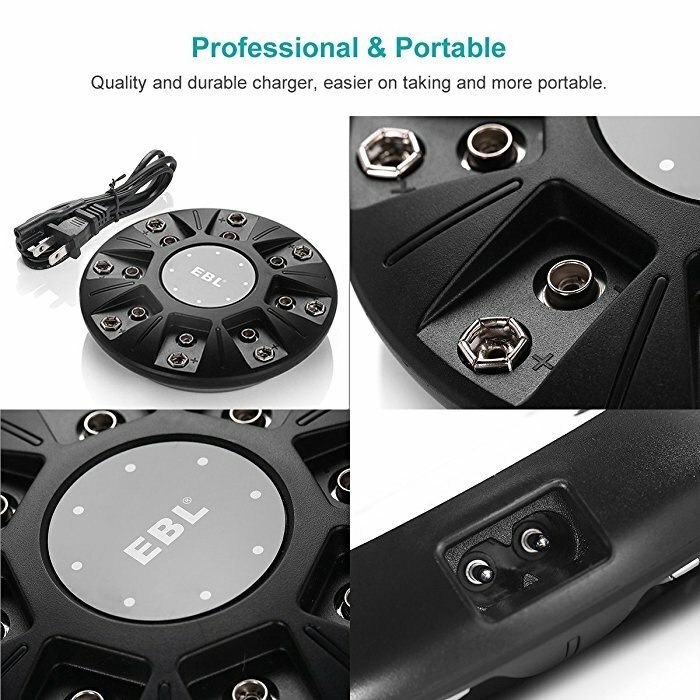 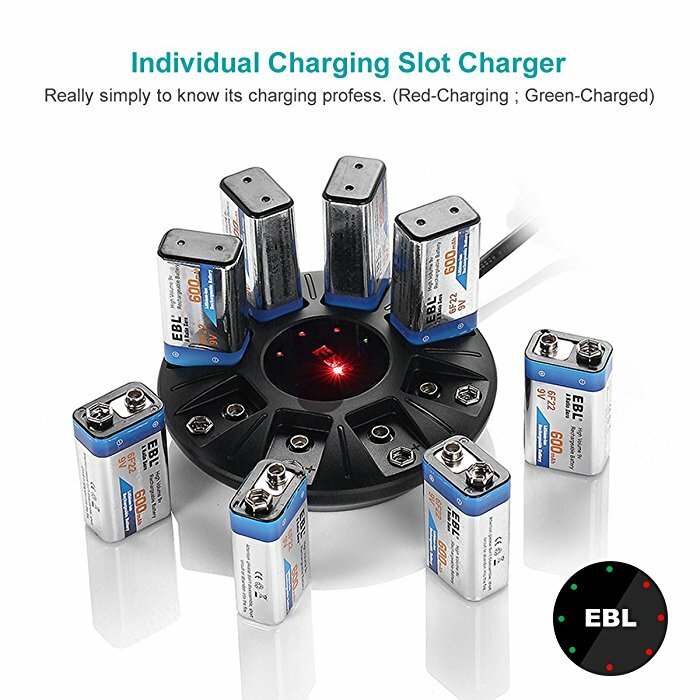 This EBL UFO style 8-bay charger can freely charge 1 to 8 9V Li-ion batteries. 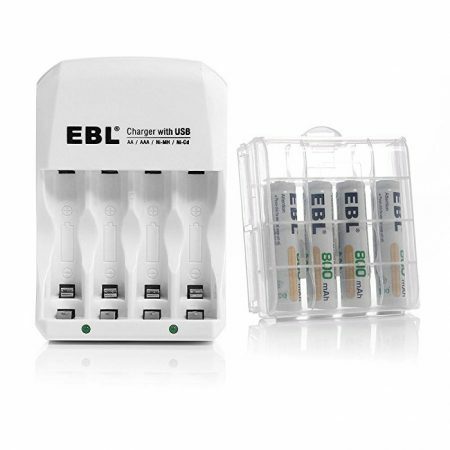 The charger can charge battery singly or in pairs, showing charging status for each slot. 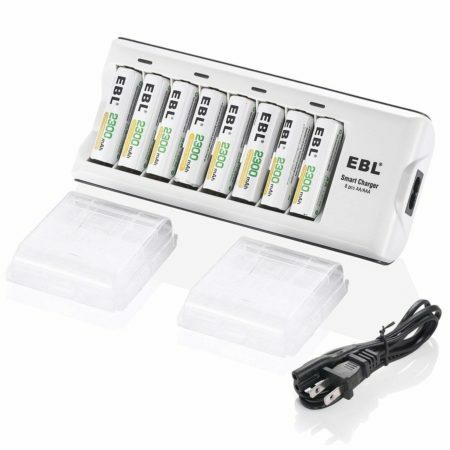 The charging progress clearly shows by light: Light on –in charging ; Light off — charged in full. 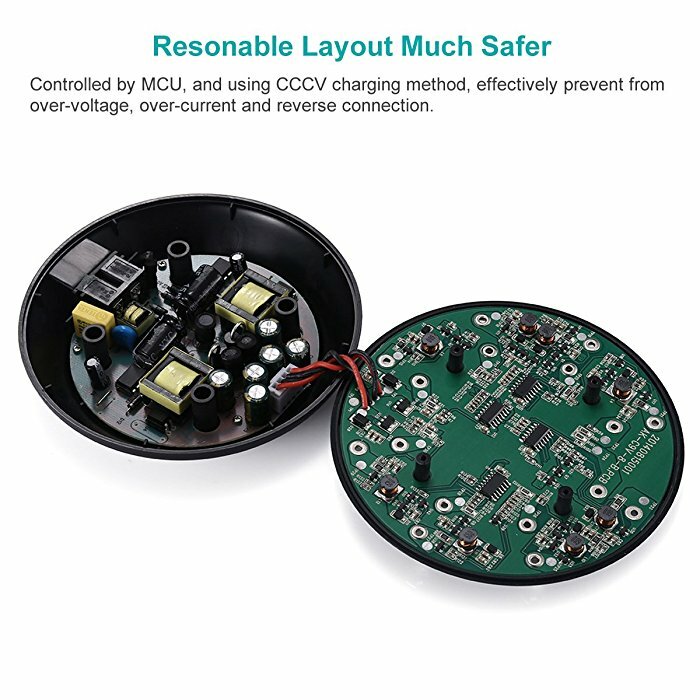 With negative delta V (- ∆V) cut-off function, controlled by MCU, the charger effectively prevents over-voltage, over-current and reverse connection. Worldwide Voltage Rating: 100-240V 50/60HZ. 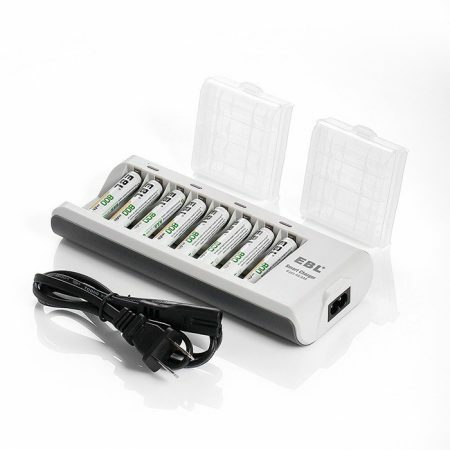 1 to 8 pcs 9V Li-ion Rechargeable Batteries. 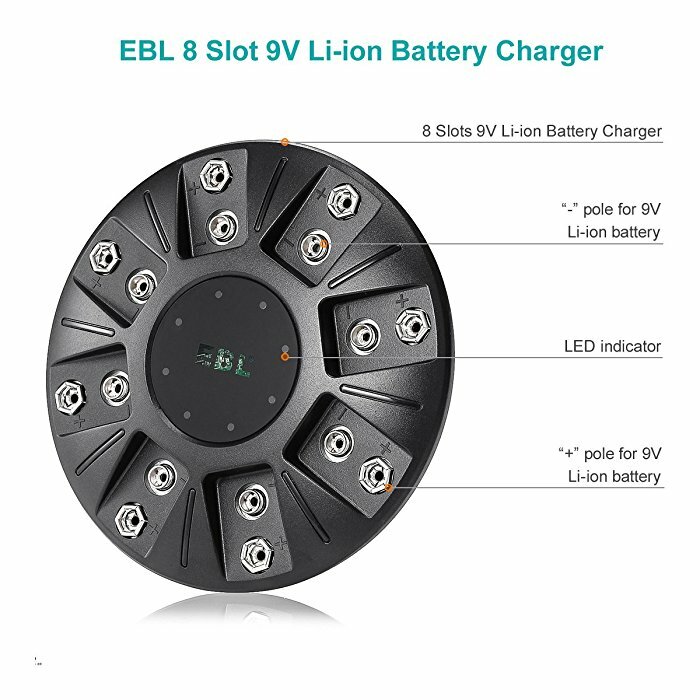 The smart charger has 8 charging slots in total, each slot has an individual LED to show its charging progress. 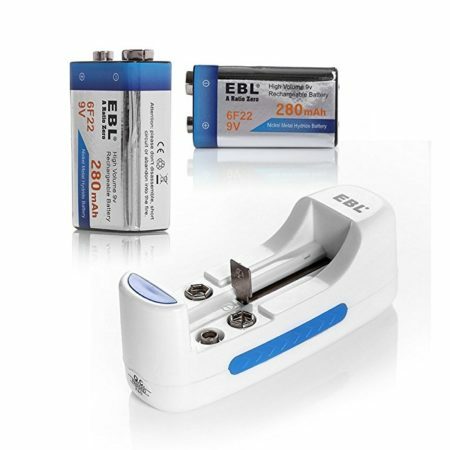 You can freely charge your 9V li-ion batteries, one by one and in pairs. 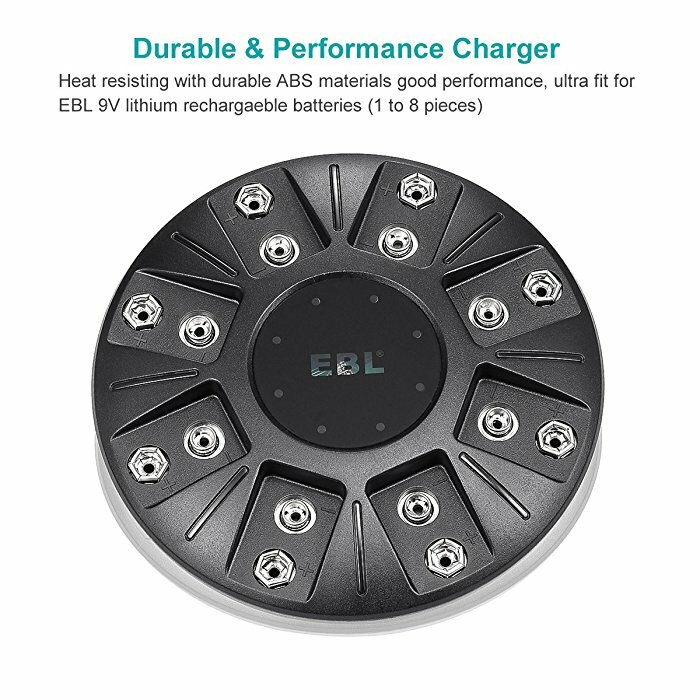 LED clearly shows the charging status: Light on –in charging ; Light off — charged in full. 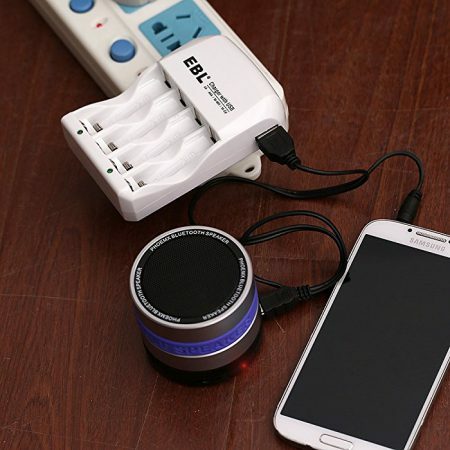 Controlled by MCU, the charger uses CCCV charging method to prevent over-voltage, over-current and reverse connection.